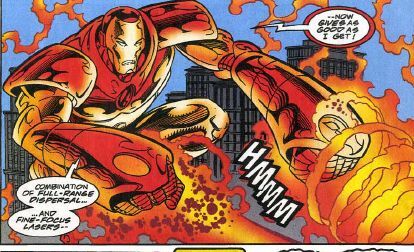 Iron Man 12- The information superhighway for Iron Man like technology. The nice thing about the modular armor was the attachments that could be used for specific missions as seen below. 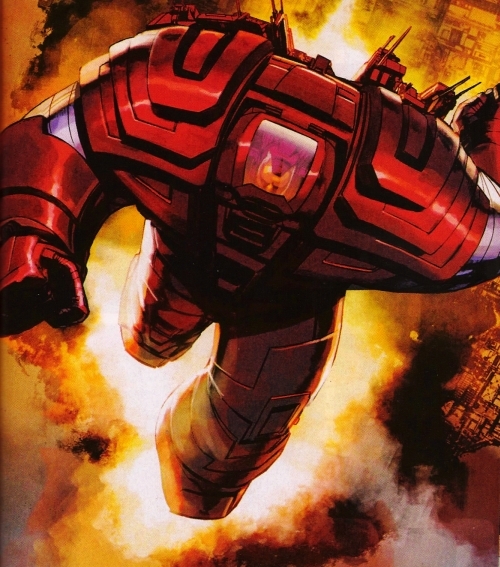 Model XVII, Mark I, AKA the Prometheus Armor. It kept me alive after a gamma-explosion that created the Hulk and nearly killed me. 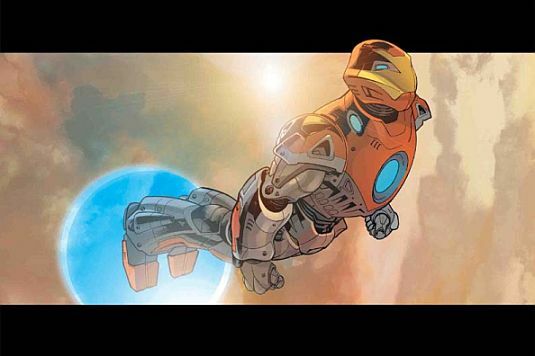 This is a modified armor seen in Iron Man/X-O Manowar "Heavy Metal." 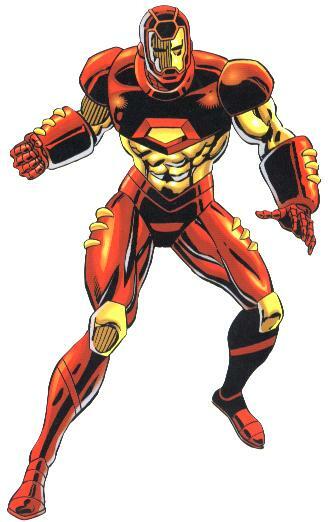 My teenage self also wore the X-O Manowar armor. 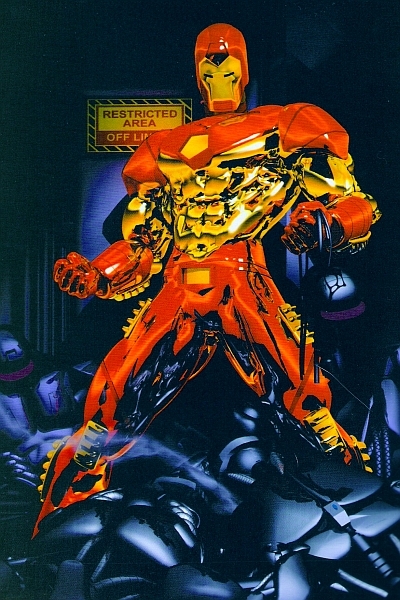 First seen in the Marvel Team Up #4-5, Ultimate Iron Man Model I, Mark II. 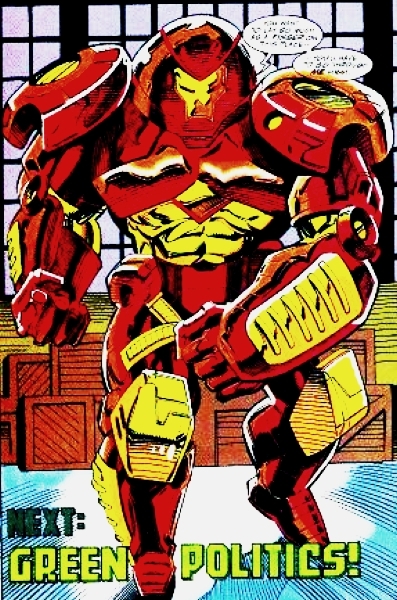 First seen in the Marvel Team Up #4, Ultimate Iron Man Model I, Mark I. Other Armors seen in other realities. 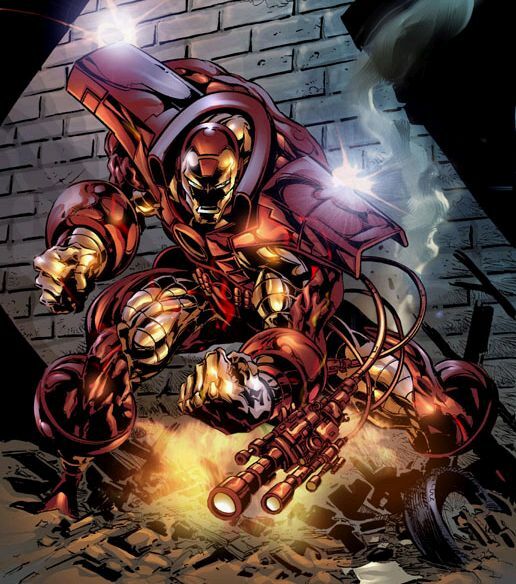 Tony Stark wears the Crimson Dynamo armor, Model VI. 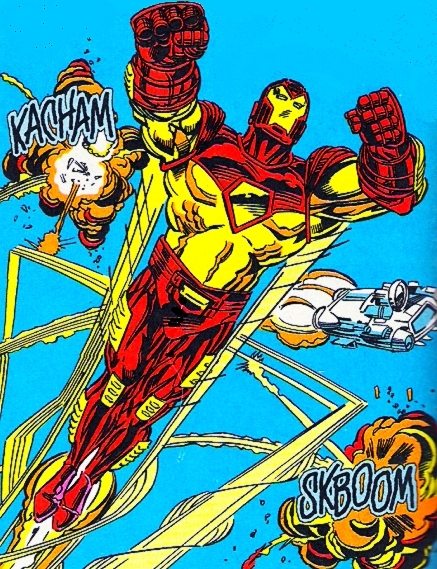 He does this to stop the Titanium Man, after Valentin Shatalov has his leg broken by the Titanium Man. 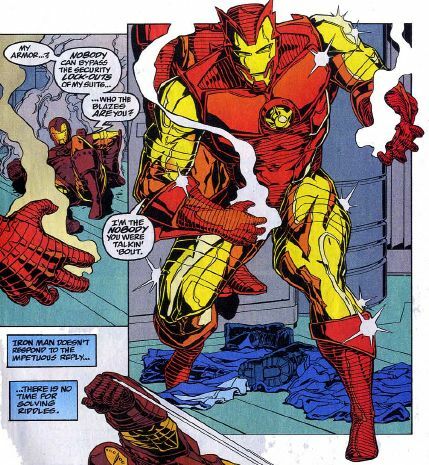 Tony wears the armor so that the Russian government would not be embarassed by this situation. 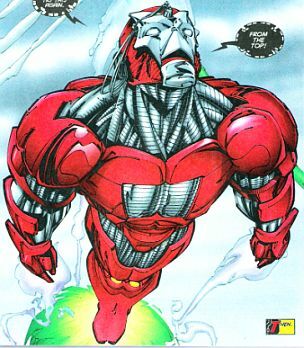 The Artic Armor (Model XIII), not pictured, showed up in #318. 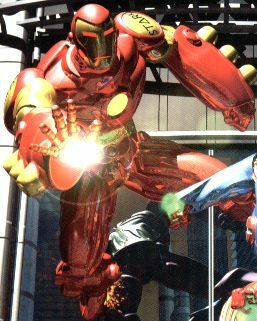 Model XIV, Mark I aka as the Gauntlet armor. 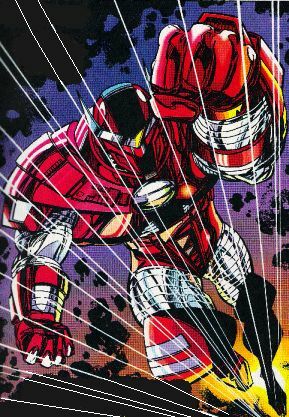 This was an extremely durable armor, in which I became suseptible to mind control from Kang, later found out to be Immortus. 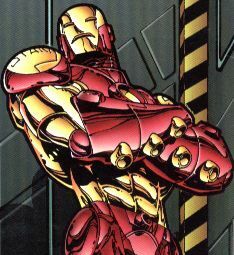 I attacked the Avengers and even killed in this armor. I corrected this defect in the armor with all later models, protection against telepathic and psychic interference. Model XII, Mark II or the Hulkbuster Armor, specially designed to fight the Hulk, it is a set of add ons and an exoskeleton that fits over the Modular Armor - "with its impact resistant carbon-composites and a magno-hydraulic pseudomusclature rated at 175 tons. . . ."
This is right before I put the armor on. This picture shows the suit within the suit. 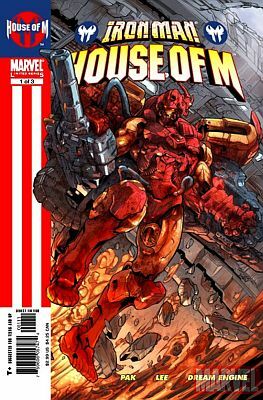 My Hulk Buster armor was pieces I added to the Modular Armor. 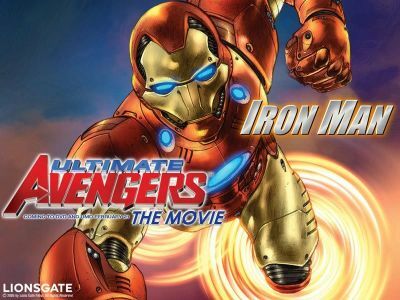 Ultimate Iron Man Model II, Mark II as seen in the the Ultimate Movie of Iron Man. Model XVII, Prototype Prometheus Armor. I created for my dear friend Rebel, who seemingly died wearing the armor. This reality created by the Scarlet Witch under the influence of Magneto, her father made me a tolerated Sapien in the world of Mutant Supremacy. 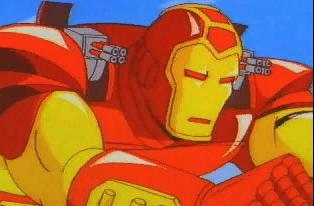 I made the best Mechanized Robotic Suit, Model I, Mark I to compete against the very best. Turns out I was the best. This reality, I'm not really sure about. It was seen in Hulk #71. 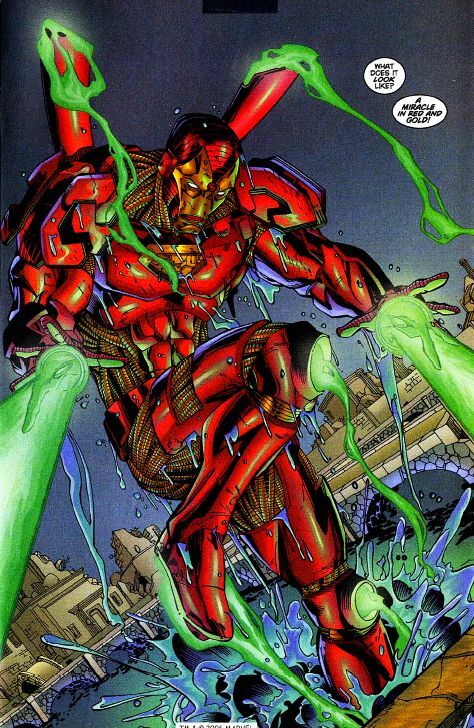 I don't remember much about this, but I created a Gamma-Armor in cooperation with Bruce Banner. Many things about this reality were not correct including my Butler's name was changed from Jarvis to Jeeves, and I was a using substances, again. Because of this, it was a nightmare for me. 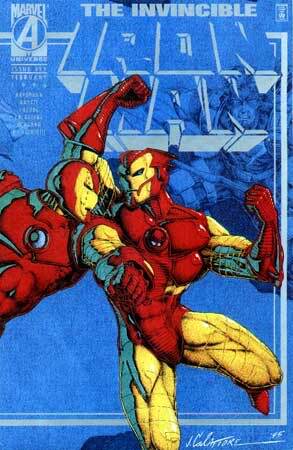 I did fight the Hulk in this armor as well. 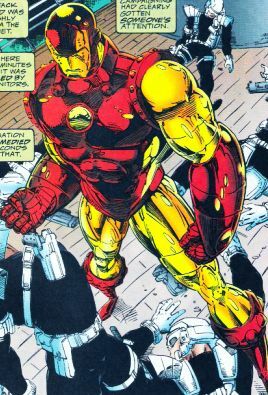 Because this armor was designed to neurtralize the Hulk, then it is technically my second Hulk Buster Armor. 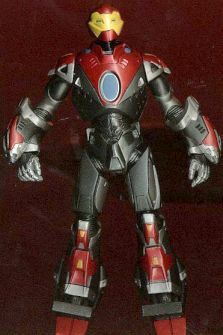 Model XV, Mark I aka as the Retro armor. Many call other armors the Retro Armor, but this is it. First worn by a teenage version of myself. This poor kid was vastly over powered. And, I almost fatally damaged his heart. 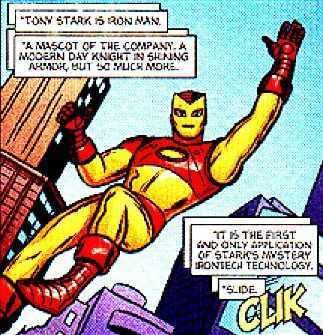 Model XVI, Mark III, the Teen Tony Armor. 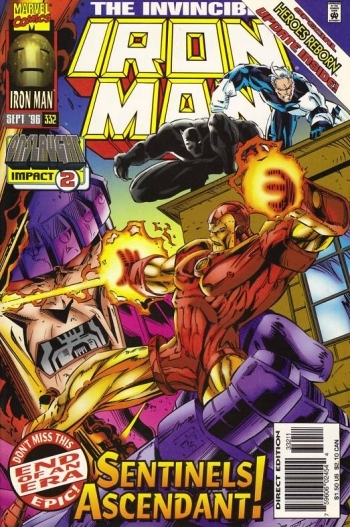 This was the final issue of Iron Man, vol. 1. This was my third attempt at an armor that would stop the Hulk. 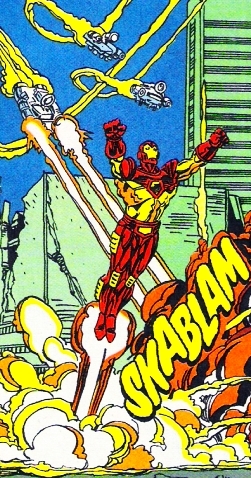 In Iron Man, Vol. 4, 19 and 20. This is from the cover of #20. 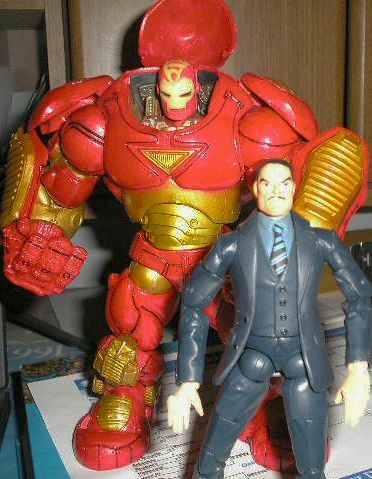 It is much like my first Hulk Buster Armor in that it is a suit over a suit. I was the Director of S.H.I.E.L.D. at the time and the Hulk was sent into space. Well, he was back for revenge! 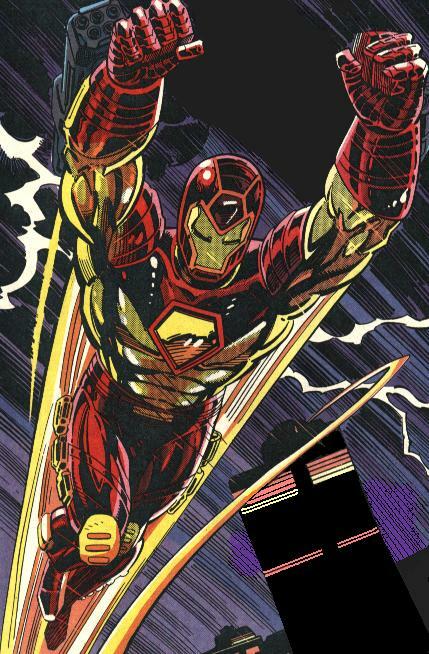 Model XVI, Mark I-III was featured as a chest piece and gauntlets only in various stages as Teen Tony worked on developing a new suit. 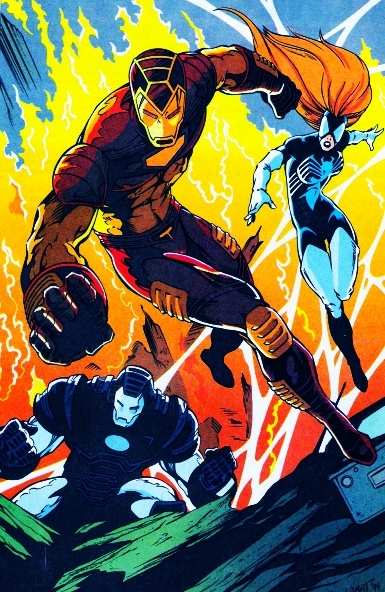 In #328, the first new suit developed by Teen Tony was completed and modified the gauntlets for maximum heat to take on Frost Bite. 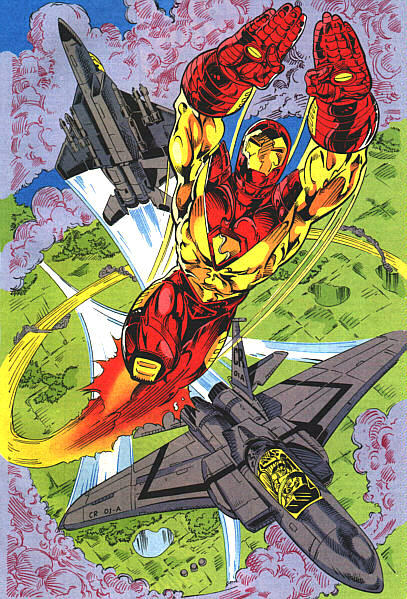 Model XVI was used to fight off various threats including specialty Iron Man armors and Sentinels!